Challenges in Translating English into Vietnamese and Why? - Professional Translation Agency | Asian Languages. Challenges in Translating English into Vietnamese and Why? Translation is not just about replacing one word with another. It requires the ability to understand the wider context and create meaning in the target language. 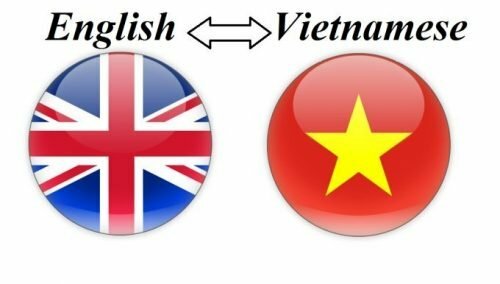 When doing translation from English into Vietnamese, we find it difficult to convert many texts naturally and there are some reasons for this fact. English has very strict grammar rules while Vietnamese is much more flexible. For instance, Vietnamese does not always use articles and the rules are not as clear as those of English. While English does not have so many grammatical inflections, English verbs can pose problems. They are peculiar to English, such as turn on, turn off, mark up or mark down. In other languages, single specific verbs are used in place of the English phrasal verbs. A construction as such is highly problematic because in English, it has numerous meanings. A word in English may mean a lot of other words in Vietnamese. For example, you may translate the word problem into vấn đề, vấn nạn, tệ nạn, khó khăn, trở ngại, trục trặc, biến chứng, thắc mắc, lỗi, etc. depending on the context. Noun combinations such as light emitter diode, as well as compound nouns, also pose problems for inexperienced translators. All peculiarities of English often make it difficult for nonnative English speakers to get a full command of the language. It is also difficult when it comes to translating English writing into other languages. In fact, the number of word often increases when a text is translated from English to Vietnamese. Being a translator is a challenging job, and takes a lot of talent, study and hard work to master. As most languages are living and change as our world evolves, translators need practices of listening, writing, and reading to stay on linguistic evolution. First, as odd as it sounds, being a good listener is essential for being a good translator, and among the most important skills every translator should have. Always read through the text before starting, or listen fully to the recording to understand the context (in case of translating subtitles). With any doubts, translators should ask relevant questions and try to visualize the message the author wants to say (it may not the popular way to say the same things). Listening can be practiced wherever and whenever. Make a point of really listening to people around to understand them. In the long run, this skill will contribute to developing better working and personal relationships. Second, writing skills in both native and target language are important. Many people say that being a good writer is a talent, not a skill, but this is not entirely true. All of us can learn to be a writer, just as we can with any other profession. And even a natural writer still needs to study to perfect their grammar and use of syntax. Go to writing classes, read technical books, take online courses, and keep up with changes in vocab and spelling. Modern languages are constantly evolving and expanding their vocabulary, so translators have to make sure they are up to date at all times. Being able to adapt to these changes it vital in producing high quality translations. Last but not least, reading can also help improve writing skills. Thanks to modern technology, we can read everytime and everywhere with mobile devices. Translation is not simply a linguistic transformation of texts, but it is also a rendering of cultural concepts from one language to another. Asian culture in general and Vietnamese culture in particular has few things in common with Western and American culture. Unless translators are capable of breaking through decayed barriers of their own culture and opening their mind to new and sometimes alien concepts, their translation cannot be considered successful and natural. Difficulties occur when you have to translate foreign notions like muck up day, New Year’s resolution, fair go, and wife swapping because they are typical of the culture in English-speaking countries but not in Vietnam. However, most alien concepts can be rendered with some translation techniques to be mentioned in the next post. Even the untranslatability can also be solved with efforts by translators. Translators often have to deal with the cultural barrier between two different countries so they need to permanently develop their skills and stay connected to at least two different cultures. They almost certainly learn about cultural intelligence when studying the language, although this is not something taught in a dictionary. Especially where localization or transcreation techniques are required, translators need to be culturally intelligent and able to sympathize with the audience who will be reading their translated text. Jargon, colloquial phrases, special constructions, these are rarely found in dictionaries and guides. Technical terms, new concepts, patterns, and anything else that might help translators understand how natives think. So translators should pay attention to what people say and, most important, how they say it and try to become a word collector in languages they are working in. The only way to know how to use them properly is by carefully observing native speakers. Social media can be a good source for this, i.e. watching television shows and movies, blogs and newspapers. Translators can further develop their cultural intelligence by traveling, reading books, or joining an intercultural club, where people from various countries meet up, is also great alternative if they do not have time or resources for traveling. To conclude, it is noteworthy that despite the many challenges when translating from English to Vietnamese and despite the actual untranslatability, be it linguistic or cultural, skilled translators still can, and must, find their own ways to overcome them to produce a high quality re-creation, not merely a rough combination of words, for the sake of pure language. In other words, there are always cures to certain causes.